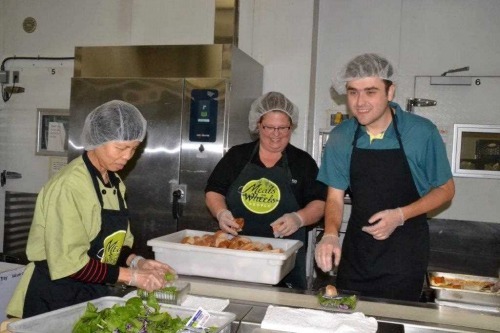 You may notice the smile on Alex’s face as he helps prepare meals to be delivered to senior citizens while volunteering for Meals on Wheels. That’s a pretty typical look for Alex while he’s doing the job he’s come to love. Marcie, Alex’s Job Coach, looks to be having a pretty good time herself! Similarly, take a look at Jason assembling critical HVAC components from galvanized sheet metal in his job at Gaylord Industries. 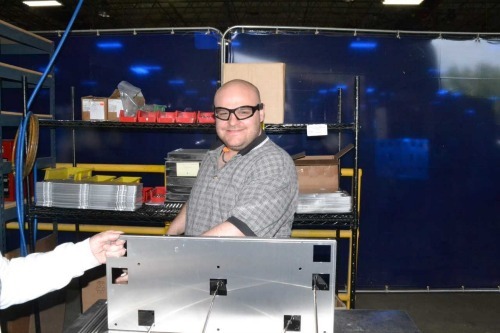 Jason is proud of the work he does there, knowing his role is an essential part of Gaylord’s ability to meet their customers’ needs..
Alex and Jason are just two of the dozens of people supported by Edwards Center’s Employment team. 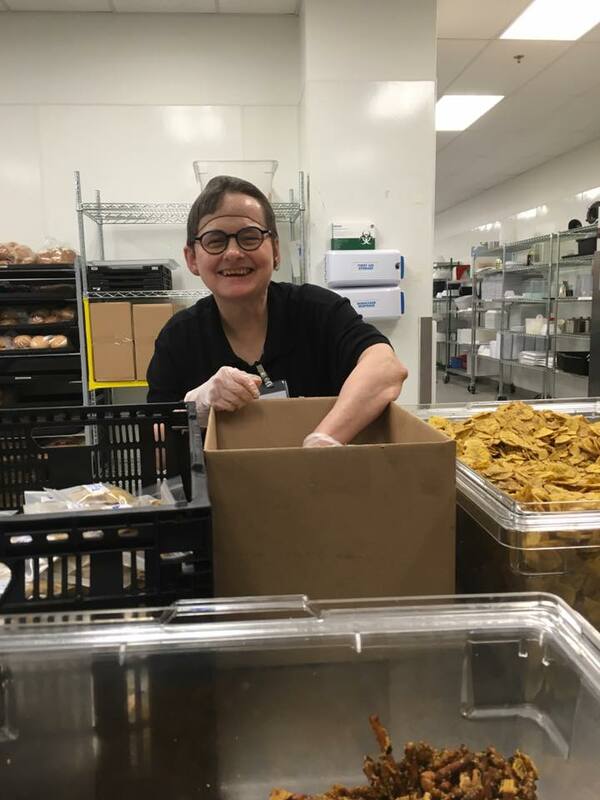 With support from trained, passionate Job Coaches, people who experience intellectual and developmental disabilities are proving every day that they can contribute in a very meaningful way to their employers’ success. We so enjoy hearing from employers as they discover that by hiring workers supported by Edwards Center’s Job Coaches, they’re seeing very real benefits to their bottom line. We love when they talk about the less tangible ways their corporate culture has become so much more positive. We hope you’ll join us in welcoming Alex, Jason and so many other people supported by Edwards Center into the communities we share!  Please call us today at 503-466-2171 to find out how your business could benefit by hiring a skilled worker supported by Edwards Center’s Employment Team. 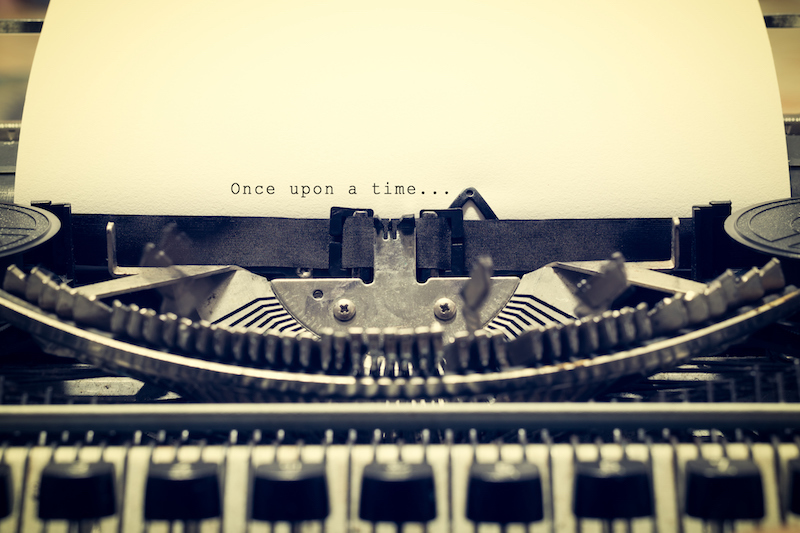 Check out the other stories in this newsletter. Just click on the links below.